For as long as there has been war, there has also been the longing for peace. That longing has been expressed in many different ways throughout history, from hunger strikes to protest songs. Despite the wide range of human responses, the potent desire for peace in our time has managed to be distilled into one simple image or gesture of the fingers- the peace sign. How did this simple symbol come to universally represent the complicated, often controversial concept of peace? The story is a somewhat complex one, though not so complex as some would have you believe. Many wild stories surround the peace sign symbol tying it to Satanism, Communism, and even Nazism. None of these myths are true, though new urban legends pop up every so often attempting to paint the innocent peace sign as a sinister symbol of the bogeyman-du-jour. The truth is much less mysterious than all that. The symbol was originally created in 1958 by British artist and conscientious objector, Gerald Holtom. It was commissioned by the Campaign for Nuclear Disarmament, and as such the symbol consists of the letters N and D superimposed over one another in semaphore, the traditional Naval code which uses flags to communicate. The code for the letter “N” is represented by the two downward angled lines, the vertical line represents the code for “D,” and the circle surrounding them represents the earth, thus sending its message of complete nuclear disarmament for the entire world. The now-classic symbol made its debut at a peaceful nuclear disarmament rally- the first of its kind- in Trafalgar Square. The artist has also said that the shape of the lines was evocative of a person in despair, with hands outstretched downward with palms out. However, when inverted, the symbol could also be interpreted as a figure with arms stretched upward in celebration, when peace had finally been achieved. This interpretation can be better observed in earlier drawings of the peace sign, where the lines thicken as they meet the outer ring to suggest the widening of hands and feet. In later interviews, the artist revealed that he had a difficult time coming up with the design for the symbol, and had been forced to discard several different motifs featuring doves, crosses, and other symbols because they meant different things in different cultures, and in some cases had been historically appropriated for less-than-peaceful causes. He settled on the now familiar circle-and-line drawing for its uniqueness, lack of negative connotations, and straight-forward meaning. The CND still uses the simple design as their logo to this day, though they’ve never sought to copyright or trademark the image (though some others have tried). It quickly gained popularity, and spread to other peace activist groups throughout England and America. Its freedom of use and simplicity to replicate soon led to its ubiquitous status worldwide and can now be seen on posters, bumper stickers, and T shirts everywhere. The “live-action” version of the peace sign is a two-fingered hand gesture you’ve doubtless seen before, given by everyone from Winston Churchill to teenagers on social media. As far as we know, it originated in Belgium during World War II and was used as a subtle way for the Belgian, French, and Dutch people to push back against occupying forces, a way to speak their mind without saying a word. It later spread to other areas as well, including Britain. The letter V began to crop up everywhere in these areas, painted on walls and chalked onto sidewalks overnight. As the idea gained momentum, the morse code for V (dot dot dot dash, as in the opening of Beethoven’s 5th Symphony) and the two-fingered salute began to be used as well. It was a symbol of resistance, and likely gained such immense popularity because of its similarity to a rude gesture, called “flicking the V’s,”made with the same arrangement of fingers turned palm inward that one could display to the oppressor with just a flick of the wrist. The “V” hand sign was revived again during the Vietnam era, when President Richard Nixon used it to reference an American military victory in Vietnam. 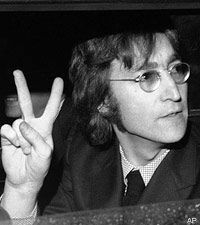 Protestors against the Vietnam War, including many popular public figures like John Lennon, quickly picked it up, using it ironically while saying, “peace.” Over time, “peace” and the hand signal became clearly associated in the public eye, and now the V sign is itself a symbol of peace. 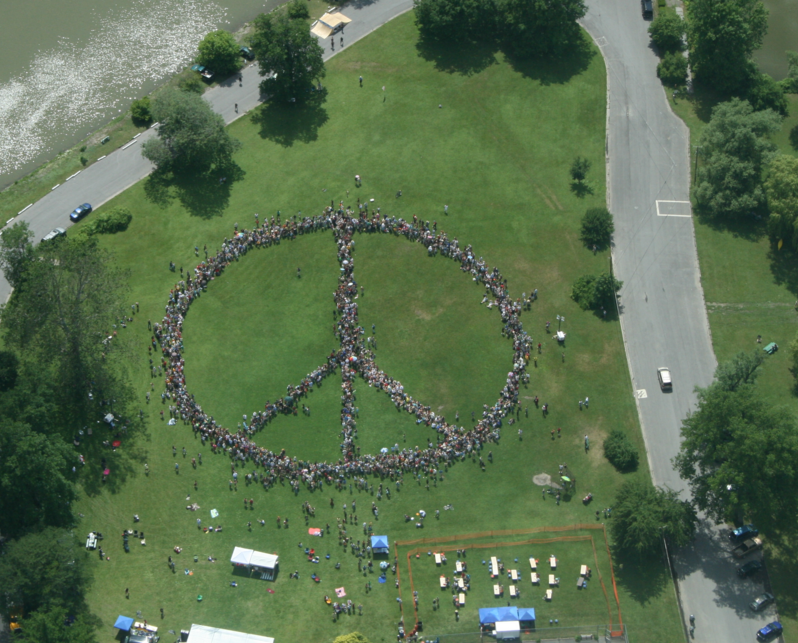 Both versions of the peace sign are powerful symbols worldwide, and show no signs of disappearing any time soon. Though they have already seen well over 50 years of use, they aren’t likely to fade into the background while war and conflict still plague us. These symbols represent not only a longing for peace, but also the hope for a better tomorrow, which is always needed in times of darkness.